Advertizing is an integral part of any business’s marketing strategy. A good advertizing campaign can do wonders to the success of the product as it ensures that the right message reaches to the right audience. With the advent of online media, there is no doubt about the fact that the consumers today get a great deal of information from the internet. YouTube is one such medium that has a huge reach to audiences worldwide and can be used as an effective medium for online promotions. With millions of videos being uploaded on YouTube every single day, it can be difficult for you to put your video across viewers. So there has to be an effective strategy in place so that large number of viewers subscribe to your channel and eventually become your customers. Some tips can come in really handy in this regard. The key factor is the quality of videos being uploaded. If the videos are not of high resolution or if they lack useful content, then you might not get the desired response from them. A good quality video will get more number of viewers and will also make sure that maximum people subscribe to your channel and share it with others on social networks too. 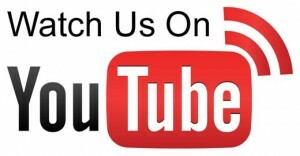 As per stats, around 23 percent of the viewers watch You Tube videos on other websites rather than on You Tube itself. Hence it is worthwhile to embed the links to your You Tube channel on your blog and on promotional pages on social networking sites like Facebook and Twitter. Updates are very important. The business firms should keep in mind the fact that the content is to be updated regularly. The videos should be tagged in an appropriate manner so that the viewers can easily search for the required content. Leaving video responses on other YouTube channels is yet another effective way to attract more viewers to your channel and increase the website traffic. Another tactic that works really well is to give your You Tube channel an identity in the form of a logo or a brand name. This is really helpful for the users to recognize your business whenever they are online. 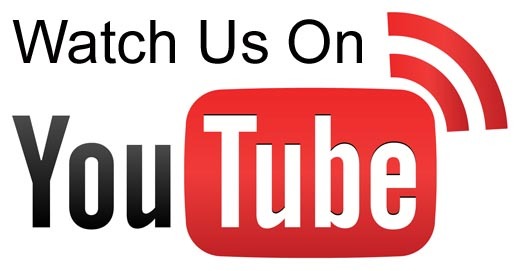 Video testimonials on the YouTube channel that depict how your business successfully helped the customers to meet their needs and demands can be another way of promoting business. While communicating with new prospective customers, one can put in the link to these videos so that the people can come to know about the benefits that are available to them. The iPhone has set a benchmark for all other smartphones in the market. Over the period of time, Smartphone usage has shown an increasing upward trend and is expected to boom in future. This clearly means that people will spend a lot of time surfing the Web on their mobile devices. Even online purchasing through mobile phones will touch a new high in the coming months. So this makes it important for you to have an effective strategy for making the visitor stick to your Website once he lands on it while browsing through his smartphone. To achieve the same, your website has to be in amalgamation with the mobile experience. So how do you achieve this sync? Read on to know some of the best tips that can help to make your site smartphone-friendly. You should design your website for a 340X240 pixel screen size. If you design a wider Web page (fixed width), mobile users will have to scroll sideways or zoom out in order to view the full page at once. 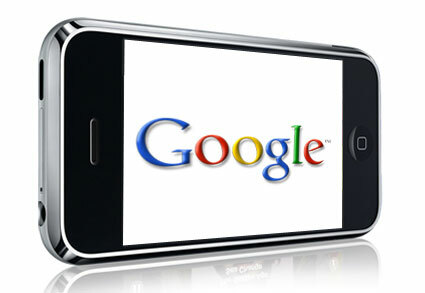 Secondly, you should make use of the Web programs that will help to optimize your Website for smartphone browsers. For that, you can use various plug-ins that can optimize sites running on various platforms for mobile browsers. To make sure your website works well on mobile devices, you can hire an experienced Mobile Website Development Company that can easily help you in converting your Web based site to a mobile-friendly one. Attractive graphics definitely make your Website look trendy but can confuse the visitor if he is viewing your site on a small screen. Clear words should be used in navigation bars so that it is comfortable for the user to browse through various sections on his smartphone. Fourthly, you must remember that iPhones and related Apple devices are not compatible with Adobe Flash. So if you use flash, all your effort gone into making ‘cool’ graphics will go down the drain. In case your business demand is such that you cannot avoid Flash, you should go in for a streamlined, mobile-only version of your Website without flash. You must upgrade your Web hosting and cut down on the image size if you want to decrease the loading time of your Website on mobile devices. This is because most of the smartphone users do not use high-speed Internet connections while surfing on their mobile device. So, they might close your site if the downloading time is beyond their patience. Last but not the least, stay away from long passages of text. People going through your Website on their smartphones might find it difficult to read too much text at a stretch. For grabbing their attention, keep the text short and precise. If you keep the above tips in mind, you will definitely be able to capture the attention of an online mobile user and get him hooked to your Website. We at Centex Technologies provide mobile application development and website design services to our clients in Austin, Dallas and Killeen areas in Central Texas. How Important Are Reviews From Your Customers On Google Places? Not having a Google place listing can be a frustrating experience as a business owner, especially considering how many people turn to Google places each day to find what they need. If you are wondering what you can do to improve your listings, one of the biggest goldmines that you can possibly hit is that of customer reviews. If you crack a way to get customers to drop a review each time they avail your services, you’ll be amazed at what a long way this can go to boost your listing. Customer reviews on Google places work in two ways for your business. The first is of course, as mentioned above, a better listing on Google Places for your industry. The benefits of having top ranks on Google places go without saying. It means that every time someone searches for the products/ services that you provide, in the region that you are based, your name will be right there around the top. The second benefit that comes with having customer reviews on Google Places is the word-of-mouth marketing that it generates for your business. With customers sharing honest opinions about businesses all over the web, a huge fraction of internet users relies on these reviews more than any other form of advertizing, to decide on the reputation of a particular business. If you manage to get enough positive reviews on your page, customers are sure to have no second thoughts while picking you over your competitors with lesser reviews. However, it is important to ensure that you keep your strategy of gathering reviews absolutely white-hat, since generating fake reviews is sure to backfire soon enough, pushing you way below on Google Places listings. As in everything else, in Google Places reviews as well, with the good comes the bad. So if you are putting yourself out there for positive reviews, you must also be ready for the inevitable negative ones. The good news here is that by tackling these negative reviews in a positive way, you can dampen their impact and make them work in your favor as well. This can be done by responding in a smart way to these reviews, explaining why the issue mentioned arose, and how you plan to resolve it in future. You can also offer some compensation to irked customers. Doing so will improve your company’s goodwill among prospective customers who read these reviews. Choosing the wrong applications- The choice of applications for a business computer network is critical, and must be made taking into account various factors such as the hardware and software being used, and the traffic requirement of your business. Failure to do so might result in a mismatch that will affect the complete functionality. Ignoring scalability- As a business owner, it is important to keep scope for scalability in every investment that you make. The same stands true for a computer network. Many entrepreneurs make the mistake of choosing a rigid network that is suited to the present size of the company, but leaves no scope for future expansion. Poor cost planning- You might plan the perfect computer network for your business, but it is of no use if it over shoots your budget allocated. You can control your network set up costs by looking into detailed features of products/ network devices you plan to purchase. It is quite possible that a multifunctional product proves to be a low cost investment in comparison to individual devices. Absence of plan for security breach- When planning a computer network for your business, no matter how careful you are, there is always a chance of a loophole being left, which might result in a security breach in the network. How this can be avoided, and what needs to be done if it occurs, are all a part of the planning process. Proper training, dedicated staff members, stringent security policies, and a recovery plan can all help in minimizing this risk. Choosing consumer-grade products over business-grade ones– Even though consumer-grade products might seem cheaper and easier to access, but these cause greater trouble in the long run. This is because they are more prone to frauds, lack comprehensive features, and are more difficult to troubleshoot. In addition to this, business-grade networks are better equipped to provide warnings and analytics when needed, helping to prevent a problem before it occurs.